Southampton Rangers batted first and was bowled out for 101, but the biggest talk of the inning was when Malachi Jones was given out off the first ball of the match caught behind and refused to leave the field, after some delay that saw the coach and club officials enter the field to encourage the player to come off did he do so and the match resumed. Ricardo Brangman was their top scorer with 38 from 19 balls that saw him hit 1 four and 5 sixes. George O’Brien was the pick of the St. David’s Cricket Club bowlers with figures of 3.5-1-7-3. In reply the St. David’s Cricket Club scored 102/7 after 16.5 overs, captain Chris Douglas was the top scorer with 34, Nirobi Mills was the pick of the Southampton Rangers bowlers with figures of 4-0-21-3. 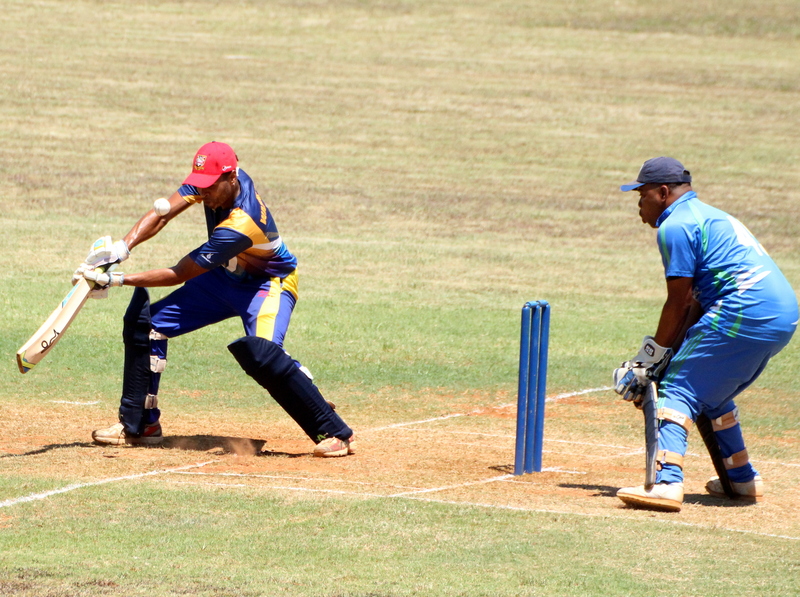 At the Sea Breeze Oval, Bailey’s Bay defeated Western Stars by 25 runs, batting first Bailey’s bay scored 161/5, Terryn Fray was the top scorer with 65, Nyon Steede was the pick of the Western Stars bowlers with figures of 3-0-25-4. In reply Western Stars scored 136/6, Rohan Davis was the top scorer with 31, Coolidge Durham was the pick of the Bailey’s Bay bowlers with figures of 4-0-18-2. Bating first PHC were restricted to 129/4 in their 20 overs, Robert Richardson was the top scorer with 53 not out, Jamar Stovell was the pick of the Warwick Workmen bowlers with figures of 4-0-27-3. In reply Warwick Workmen scored 130/6, Cameron Jeffers was the top scorer with 40, while Tyrique Smith was the pick of the PHC bowlers with figures of 4-0-26-3. At the White Hill Field, Flatt’s Victoria batted first and were bowled out for 110, Kamau Leverock was the top scorer with 46, Corey Burgess was the pick of the Somerset Bridge bowlers with figures of 4-0-15-2. In reply Somerset Bridge scored 114/8, Hewvonnie Brown was the top scorer with 45 not out, while Darnell Farrel returned figures of 4-1-9-3 for Flatt’s Victoria. Cleveland County travelled to the Somerset Cricket Club and defeated Willow Cuts by 42 runs, batting first Cleveland County scored 163/5, Macai Young was the top scorer with 62, Kwasi James was the pick of the Willow Cuts bowlers with figures of 4-0-26-2. In reply Willow Cuts were bowled out for 121, Dwight Basden was the top scorer with 31, Jabari Darrell was the pick of the Cleveland County bowlers with figures of 3.2-0-22-3.